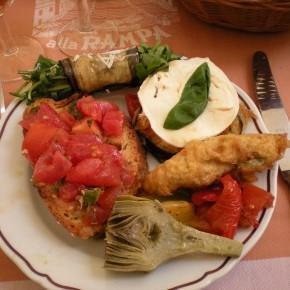 Do you have a passion for cooking or do you dream of all things Italian? Today, our trailing spouse expert, Louise, offers three easy tips to discover your passion and live a fulfilling expat life. Finding your passion is an attractive goal for trailing spouses, because expat living gives you the perfect conditions: the free time and financial safety to do what you love. However, this unique chance to realize yourself also leaves you open to stress and frustration when you do not know what your dreams are and feel you are wasting your golden opportunity. Answering the question “What do I want?” can take many forms. 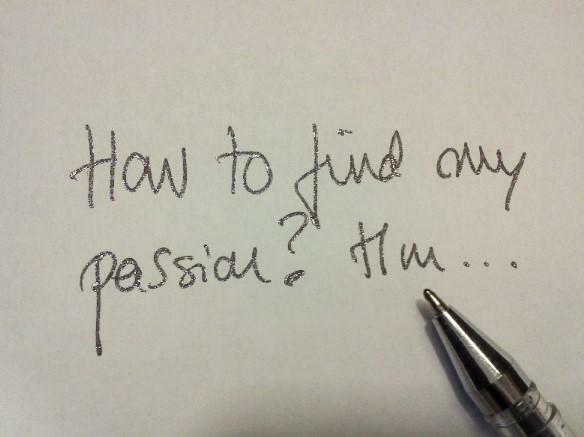 Below, I give you three easy steps to uncover your passion as a trailing spouse. Step one, towards finding your passion, starts with accepting your current situation. You can read more about how to do this in my previous post, The 7 Guilty Secrets of Trailing Spouses. It’s only once you’ve accepted your situation, you can decide to move ahead and discover your passions. At this point, it is very important you do not use rational thinking. Don’t sabotage your process thinking things like: “But this is not realistic,” “I do not speak the language here,” “I do not have the right educational background,” “We move along every 2 years.” Ignore the excuses you come up with to avoid taking your passions seriously. Rational thinking is to passion what Roundup herbicide is to weeds: toxicity. Step two towards finding your passion is therefore freeing your mind of rational thinking. (Only for a while; you will need it again!) To find your passion, you need to tune in to your heart and your intuition. Listen carefully to your inner voice and what it tells you about what you love to do. Try to keep your answers clear of whatever rational argument your head comes up with. Once this work is done, and you have identified your dreams and passions, you can bring your head back into the process. Examine what form would suit your dream and your particular circumstances, such as: living in the countryside, speaking no French or Dutch, suffering from illiteracy, having five children, etc. The third step to finding your passion is to rediscover yourself. Find out what makes your heart dance; what makes you warm inside; what gives you a smile on your lips. There are three paths you can explore. Each one reveals your passions, interests or characteristics differently. Think back to when the idea of moving abroad was first presented. What made you say yes? Which ideas did you play with in your mind? Which dreams, big or small, passed by your inner eye, when thinking of living abroad? What thoughts made you smile? For some, it is about quitting their career, or starting on a new education, or starting a family. For others it is about living a healthier life, or learning about another culture. What was it about for you? You can eventually buy a notebook and write down all your dreams in it. Give your dreams a place to live written out on paper. What have you always dreamt of? What have you always wanted to learn? What did you dream of, when you were younger? What were the alternate paths you considered back then? Which projects did you have in your drawer for the day you resigned from your job, started to work part time, or when the kids grew older? Did you want to learn to sing? Should you read the entire works of Shakespeare? Or would you finally write the story of your fabulous grandmother? Use your inner detective and check your physical surroundings for what they say about you and your interests. Look at your home. What hangs on your walls? What kind of music do you have on your iPod? Which books and magazines are standing on your book shelves? Which homepages are in your favorites list? What are your drawers full of? Old postcards? Food magazines? Mandala colorings? Look closely at your surroundings and try to understand why you made the choices you did. What does it all say about you as a person and your interests? Are you a spiritual nerd? Are you passionate about all things Italian? Is cooking indispensable to you? Write it all down in your notebook. Research shows, people who write about their dreams have a higher chance of realizing them. And remember – finding your passion, especially as a trailing spouse, isn’t about finding the one and only thing you love in life. (But if you do, that’s great!) It is about opening up your perspective and discovering all the nuances of you. Uncovering all the passions and dreams you have inside, big and small, so you can live (some of) them out, now that you have the time and the financial security to do so. In the end, that’s why you moved all along, wasn’t it? So grab the chance now, while you have it! 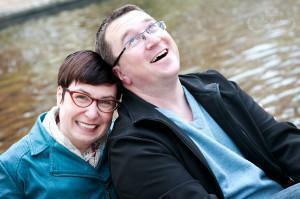 Looking for more resources for trailing spouses? Check out our Expat Resources page. Former trailing spouse in Brussels, Louise is living permanently in Belgium today. She is an independant expat coach and freelance floral decorator - two passionate activities her expat experience allowed her to discover, now the heart of her professional life. If you speak Danish, check out LouiseFly.com where she offers career coaching and help for trailing spouses looking to find their passion and rebuild their identity.